From time to time we have breeding stock available for sale. All of our sheep are practical animals used to life in a grass-based system, good grazers with strong maternal instincts. 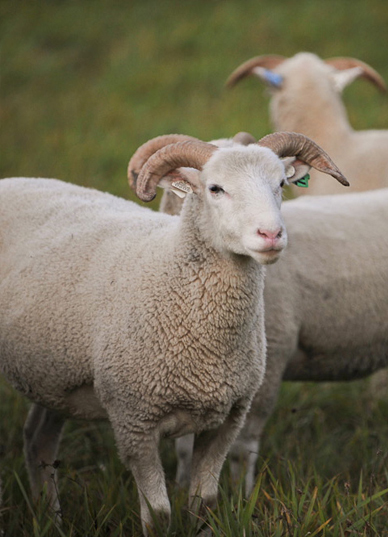 Our Tunis bloodlines started with our family flock, the Tamarack flock owned by the Liddells of Greenwich, NY. To this base we have added genetics from Hodgin/TLH, Nancy Schmidt, Arthur Hillis, and Julia Delpino. Our Tunis have dark faces, fat tails, and are moderately sized. Our Dorset Horn genetics are from a mix of the best east and west coast bloodlines, including Humphrey, Forster, Gould, Janicki, and Cassell. In recent months we have been able to introduce some recently imported British genetics from the Poorton Flock of Dorset, England. Our Dorset Horn are vigorous, fast growing, and moderately sized. Please contact us for more information about current availability and pricing. We may be able to provide individual animals as well as starter flocks.